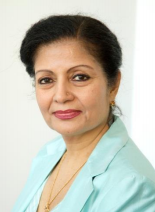 UN Women announced yesterday that Lakshmi Puri, the Deputy Executive Director under Michelle Bachelet, assumed the top post as acting head on 26 March. A good understanding of the United Nations system and ability to lead efforts for a more effective and coherent United Nations response at all levels. Nominations are to be sent to the Secretary General’s senior appointments team by 13 May 2013. The narrowing of candidates during the search for the agency’s founding Executive Director lasted approximately 7 weeks, and Bachelet initially resisted encouragements to accept the post. This year’s selection will almost certainly move more swiftly, and the process may be close to an end by the annual meeting of the UN Women Executive Board, 24-28 June — six weeks after nominations close.